Thank you to our major donors for bringing this music into the world! Thank you all who pre-ordered the year subscription to our work and everyone who has bought the album so far! If you enjoy this music then please help pay off the thousands of dollars it cost to make it. You’ll become a patron and receive this beautiful CD in the mail. Teri Ore is a tune that comes from India. I heard it played by The Kings of Singh, a Vancouver-based band that plays East Indian wedding music and its pretty melody instantly captured me. The Librarian’s Daughter is one that I wrote one afternoon while in a bit of a mood. The melody came out quickly and almost all at once and I immediately felt better. That is why I make sure to have a bouzouki or banjo – some large stringed instrument – nearby at all times in case a mood comes on and I need to hit someone over the head with it…I mean write a tune. The Boys of Wexford refers to the 1798 Wexford Rebellion and is followed by the beautiful old hymn, He Leadeth Me. This arrangement was put together backstage in a gorgeous vaudeville-age theater in the mountains of Eastern Kentucky on a Mike Snider String Band tour where it happened that at each show every member was given a blue bucket and some lightbulbs. I still have buckets and lightbulbs to last for years and always think of that fun time when I hear these tunes. Mike and I do it as a duet here. When I moved to Nashville in 2001 I bought a used pickup truck. It had been mine for a few months when one day I discovered a mix tape under the driver’s seat, full of all kinds of pretty songs. On it was Tim and Mollie O’Brien singing Wave the Ocean and it was love at first listen. Eden and I put together this arrangement, including Red Prairie Dawn, written by Garry Harrison, a beautiful musician and composer who passed away at far too young an age. This track is about old friends sitting around and having some fun. When I was growing up in Houston and just starting in the music Turlach happened to be living there and going to the session at McGonigel’s Mucky Duck. His influence was enormous in my life and I am grateful for his generosity and kindness. EJ was a major part of the scene too in those days and it was a wonderful reunion this summer when we all three sat around for the first time in ages to have some laughs and play some tunes. The Cumberland Gap refers to a mountain pass near where Tennessee, Kentucky, and Virginia meet, long used by travelers trying to get over the Appalachian Mountains. This song has been around since the 1800s and has many versions and many verses. EJ and I put together this particular arrangement and I love his harmony singing and flute playing on it. It’s one of my very favorite songs. When I moved to Nashville in 2001 I fell into a wonderful crowd of musicians who quickly became good friends. The Kilfenora was one of the first tunes I learned after arriving and this particular setting comes from Jackie Daly’s playing and was the cause of a very funny argument. Many thanks to “The Bills,” Verdier and Wolfe for all the years of music and laughs! The Highland Laddie is a regimental march that is often played by pipers and it’s one of my very favorite tunes that Bill plays on the fiddle. Larry Unger is a prolific composer of beautiful tunes. 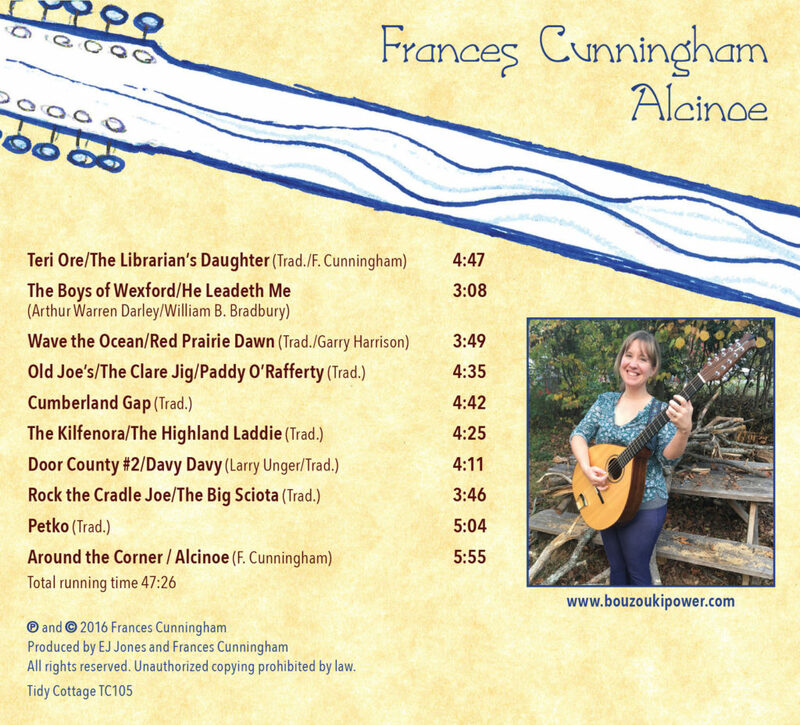 His Door County #2 is one of the prettiest of all and I hope he will approve of this very bouzoukified version! It’s followed by a traditional Old Time tune played by Mike Snider, one of the most powerful and elegant musicians I’ve ever had the good fortune to play with. In quiet moments in dressing room #6 at the Grand Ole Opry we would play this with just the banjo and bouzouki and it makes me happy every time. I’m thankful for Mike seeing beyond what’s “supposed” to be and taking a chance on hiring a bouzouki player for his Old Time String Band. Petko is a bagpipe tune from Bulgaria that I learned from Richard Kean, who got it from Patrick Molard’s playing. The gaida in Bulgaria date back to the Thracian tribes, who go back to about 400 BC. That’s a long time to come up with some beautiful music and the people in that region have certainly made the most of it. Richard is a relentless seeker of interesting music and I am thankful to him for exposing me to all kinds of tunes and recordings I would never know otherwise. I wrote Around the Corner for my Dad who I adored and who passed away in 2001. Not long after he was buried I sat at his grave with my mandolin and a nearby wind chime sounded an F#, G, A, C#. Those four notes seemed like a gift, and the melody poured out using those as the start. (It’s played here in F though, in case anyone is checking.) 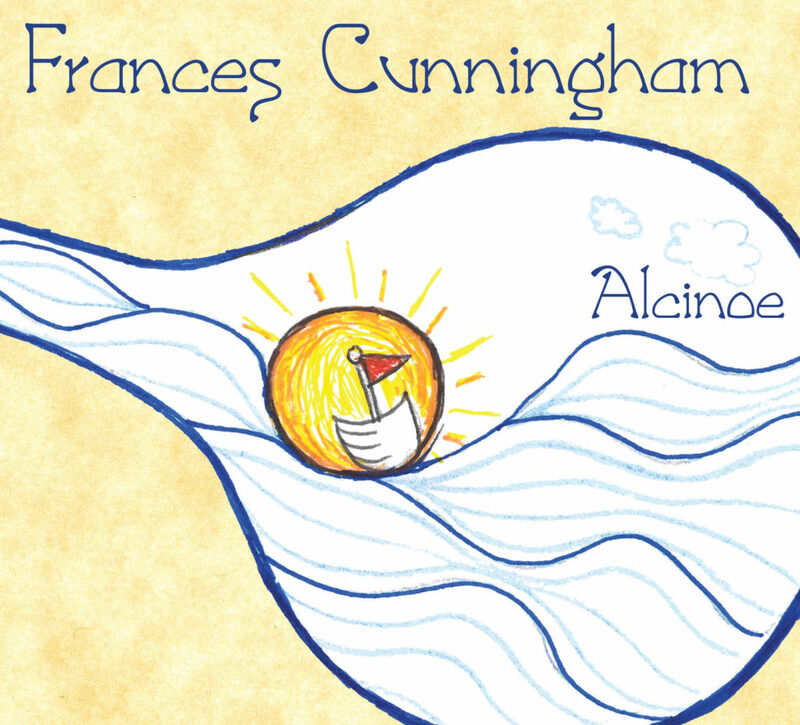 Alcinoe was written for a friend who is both powerful and wise and means an awful lot to me, along with the countless people she has fought for and helped over the years. To preserve her privacy I named it for an Amazon hero of ancient Greece whose name in fact means ‘Mighty Wisdom.’ I feel that even though their battles look different their stories touch across the ages.